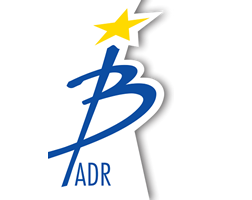 Beneficiaries of the REGIO funding shall promote the fact that the projects are funded by the European Union and by the Romanian Government through the Regional Operational Program. 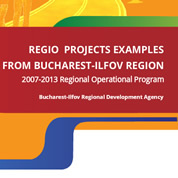 The visual identity manual of the Regional Operational Program was elaborated with the purpose of supporting the Management Authority for ROP, the Intermediary Bodies for REGIO and the REGIO funding beneficiaries (local authorities, SME-s, NGO-s and other institutions) in fulfilling the information and promotion measures they are responsible for. The beneficiaries are obliged to prepare all the communication products of the projects funded through REGIO (fliers, brochures, posters, press releases, websites, etc.) in accordance with the requirements of the Visual Identity Manual. With the purpose of informing the public, mass-media and potential beneficiaries, the content of the REGIO Visual Identity Manual is available on this web page in a format that cannot be edited. For printing versions, the beneficiaries can contact the REGIO Information Office set up within the IB BIRDA. At the same time, during the information seminars they will receive information regarding the procedure of approving the information and promotion materials. The Information Office will nominate an expert that will approve the information and promotion materials drafted by the funding beneficiaries.